A half day event focussing on our story of collaborative learning. We bring together Early Childhood Studies students and lecturers, EYFS setting practitioners, setting managers, music practitioners, MEH and EYs strategic leaders. 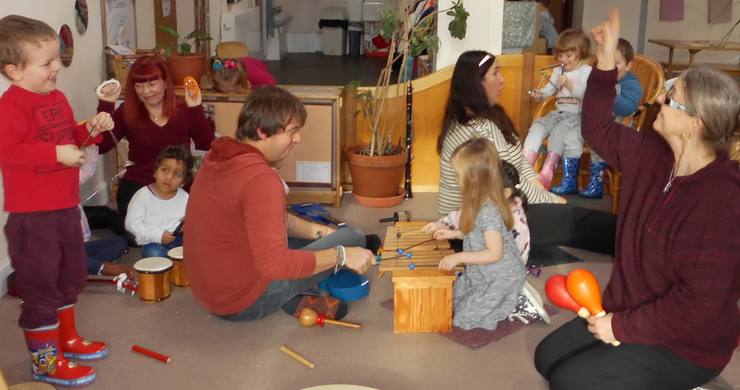 This event will involve presentations, a practical EYFS music session and time for discussion as we reflect on our recent SoundWaves Network programme in three Early Years settings across Plymouth.